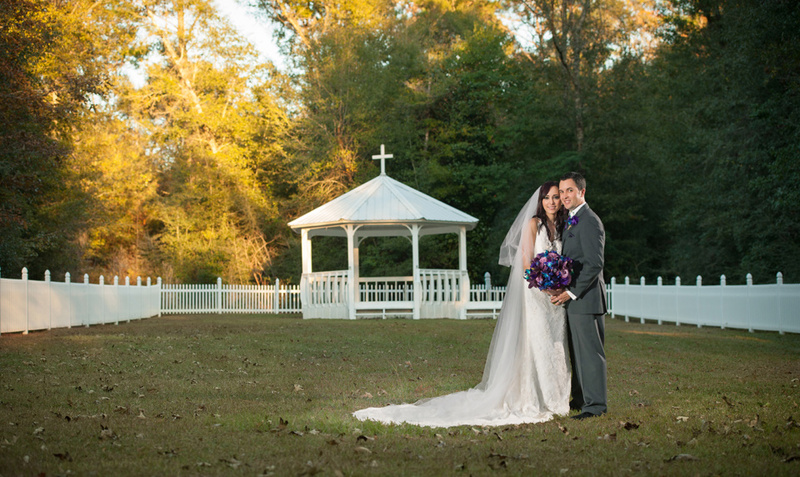 We offer a serene backdrop suited for the wedding of your dreams. 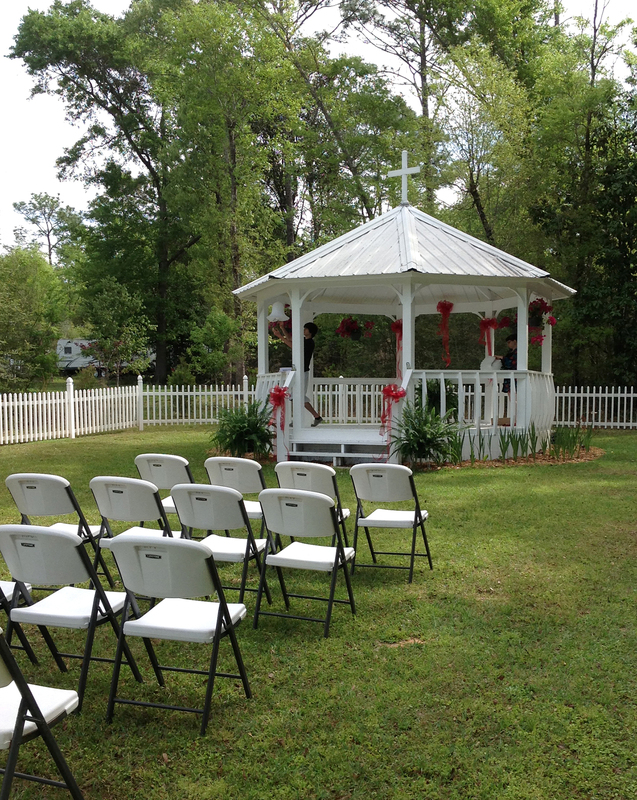 Say your vows in our beautiful gazebo area with ample room for your guests. 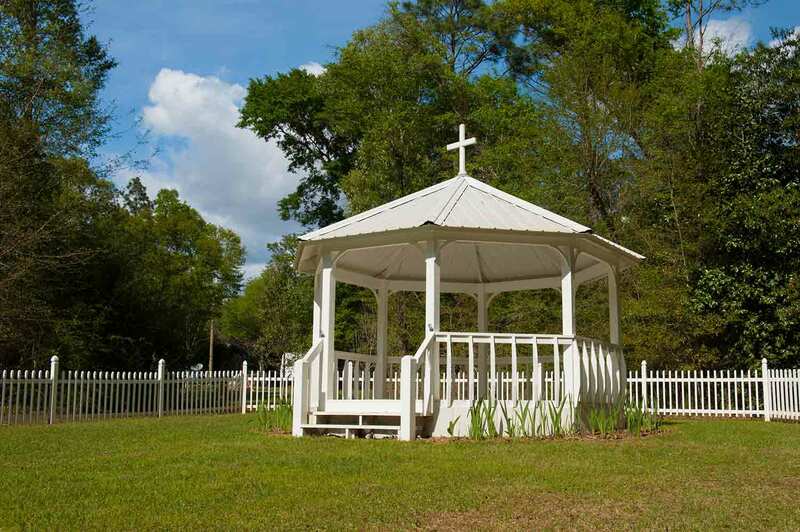 Sunburst boasts a Pavilion and catering kitchen area that is perfect for holding a memorable reception amongst a beautiful backdrop of lush foliage. Stay for your honeymoon as well! 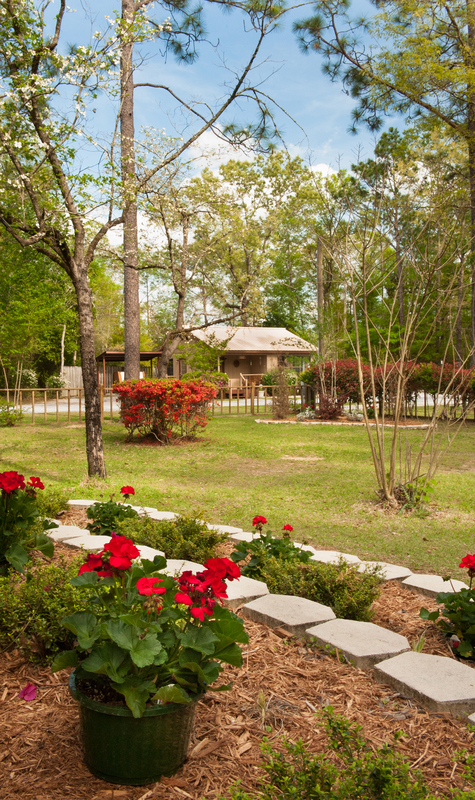 We’re close to Pensacola Beach, and our park is secluded and quiet. 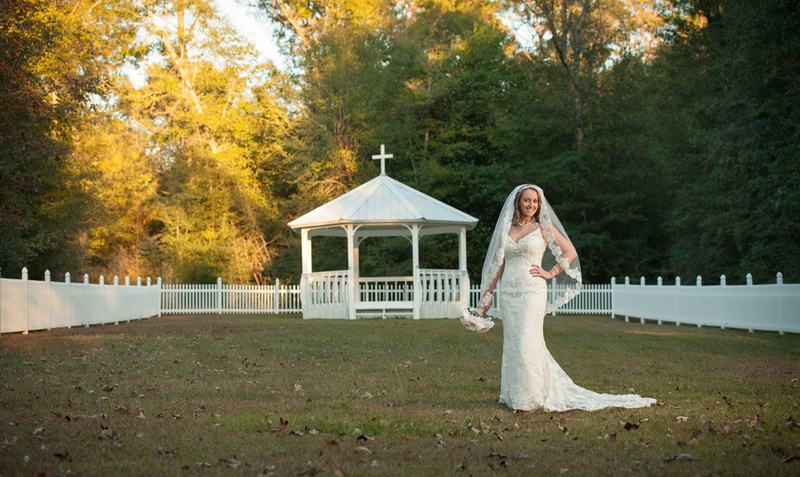 We can help you plan the perfect day. Interested in securing your date? Contact us to book your reservation.